DIY Adjustable Constant Current and Power Load from GreatScott! When testing electronics, you may need to know just how much power your device can supply, and for how long. While this could be accomplished by swapping out resistors or other manual means, this would obviously not be the optimal solution, especially if you need to test multiple power draw scenarios. For an easier test method, YouTuber GreatScott! presents his DIY adjustable constant current and power load. The heart of this device is an IRFZ44N MOSFET on a comically large heat sink. This is driven via a driver module, which is in turn controlled by an Arduino Nano. While the heat sink does look huge compared to the size of the MOSFET itself, considering the design claims to be able to support up to 30V and an impressive 20A of current, one can see why this is necessary. User interface consists of a 16×2 LCD screen, along with a rotary encoder for human input. As GreatScott! mentions in the video below, the gadget turned out acceptably well, but he notes that precise control of loads down to the mA or mW range can’t be achieved as of now. He suggests that a better DAC or ADC could be used to improve this spec, but as built it would certainly be a useful piece of hardware in many situations! 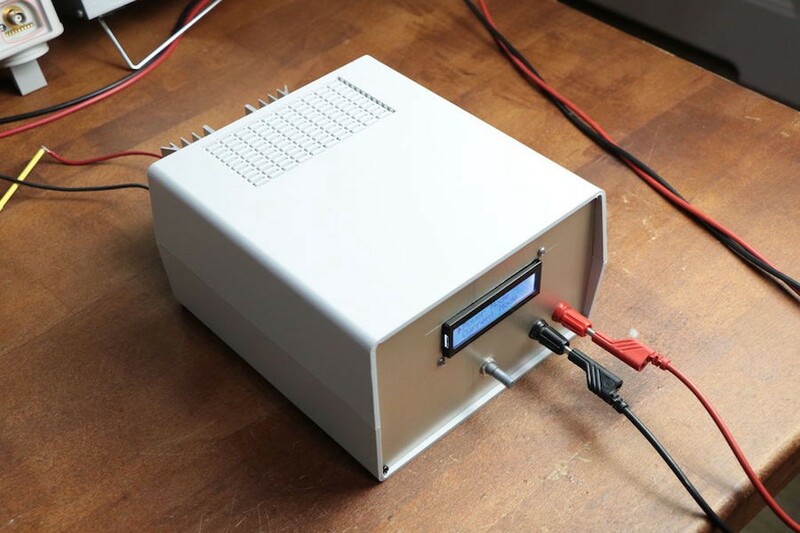 DIY Adjustable Constant Current and Power Load from GreatScott! was originally published in Hackster Blog on Medium, where people are continuing the conversation by highlighting and responding to this story. 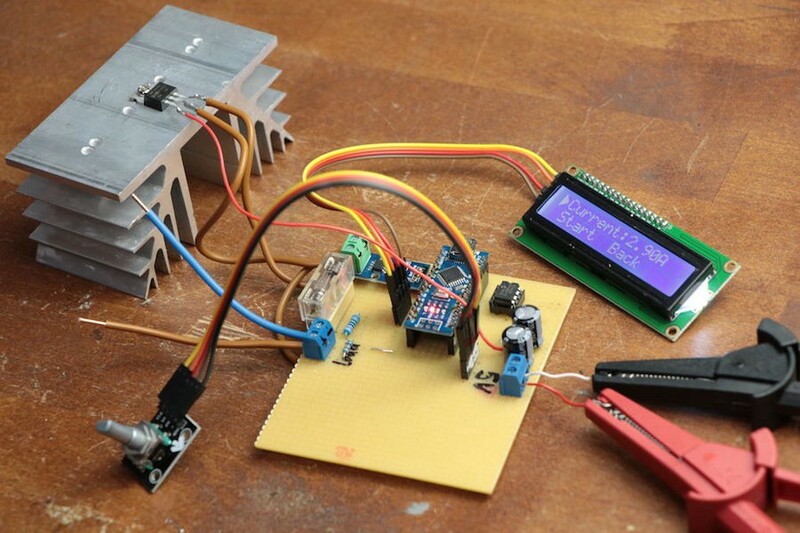 Original article: DIY Adjustable Constant Current and Power Load from GreatScott!